Fortnite, pretty much the game everyone is talking about and addicted to, the game breaking the internet and finding their ways into the mind, hearts, and fingers of gamers worldwide. Developed by Epic games and People Can Fly, Fortnite is a Co-op sandbox (it is a nonlinear story) survival game. Set in contemporary earth, the game’s plot deals with a sudden appearance of a worldwide sandstorm that wipes out pretty much 98% of the world’s population and there is a rise of zombie-like creatures that attack the survivors. The survivors now a team of players literally try to survive and horde the siege laid by the zombies by mining resources, constructing weapons and building shelters to keep them safe throughout the apocalypse. There are several missions players participate in and gain rewards if they are completed, these rewards like improved hero characters, support teams, weapons, and trap schematics help navigate easily through more difficult missions and aid in their survival quest. March 14 however was a record-breaking day for Fortnite and the gaming culture as 628,000 people tuned in at once on a live Twitch stream to watch hip-hop superstar Drake play the game with a bevy of his gamer friend. The organizer Tyler Blevins a.k.a Ninja who is a gamer turned Twitch streamer recorded success and currently makes $500000 a month playing the Fortnite game. 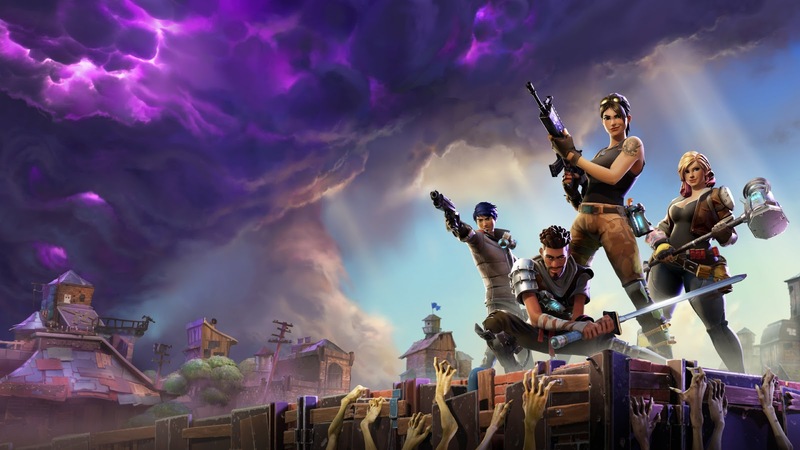 It has been all round success for Fortnite after they came into popularity in early 2017 and by August of 2017, Epic confirmed that Fortnite had surpassed over a million players. The game was also ranked by Eurogamer as 32 on their list of “Top 50 Games of 2017”. Fortnite hasn’t slowed down on its pace and is still breaking records, the latest being on YouTube. Spanish YouTuber, 'elrubiusOMG' on March 25th organized a Fortnite event that featured 99 other YouTubers. The live-stream ran for three hours and got 1.1 million concurrent viewers. Ninja’s live-stream with Drake on Twitch recorded 628k viewers at its peak clearly far behind the record set on YouTube. It would go on to be a record for an Individual live stream on YouTube. YouTube also reported that Fortnite has broken the record for the most videos uploaded for a specific game in a single month. There are also reports making the rounds that viewers watch 25 million hours of Fortnite a week on YouTube. Its developers (Epic and People Can Fly) steadily bring out updates that keep its players captivated and engaged and with an avenue like Twitch and YouTube that have lately catapulted the game into new heights it’s hard to see Fortnite slowing down. It’s been a very successful month for Fortnite, one that would be forever embedded in the game’s history. But is this latest record going to be the last? I’m pretty sure it won’t. Stay tuned for updates.